Immuno Max is an advanced nutritional supplement that combines two patented products, N,N-Dimethylglycine (DMG) and ImmuneEnhancer™ AG (Larch tree extract), with a purified D-fraction from Maitake Mushroom and Beta 1,3 Glucans from the cell walls of baker’s yeast in a vegetarian capsule. 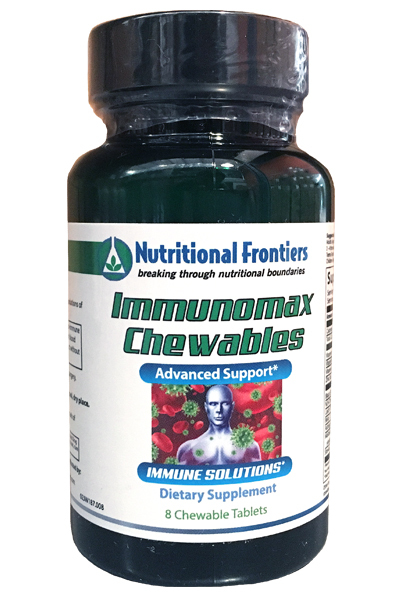 Immuno Max is designed specifically for anyone with a weakened immune system. DMG, according to numerous studies, can help maintain a strong immune system by supporting increased resistance to invading microorganisms and enhancing antibody and lymphocyte production. Three U.S. Patents have been awarded based on extensive research on DMG’s role in immune response. ImmuneEnhancer™ AG is a well-researched source of Arabinogalactans, which support the immune system by increasing the number of immune cells and limiting unhealthy cell replication. Maitake mushroom is a highly concentrated source of Beta-1, 6-Glucans which research has found stimulates the body’s first line of defense, including macrophages and natural killer cells. Maitake D-Fraction® has been extensively researched, and is one of the most comprehensive immune support formulas available. There is no other formula on the market that is more pure or potent and it is the only Maitake product that has been approved by the FDA for conducting phase 2 clinical studies (IND #54,589). Beta-1, 3-Glucans are shown to activate B-Cells and T-Cells. Although derived from yeast there are no yeast proteins in it. The Beta Glucans are made from the cell walls of baker’s yeast, which is then purified, and free of allergenic material. Immuno Max capsules are vegetarian and yeast free. 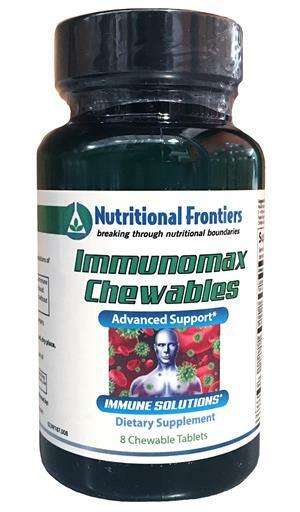 When you are under attack, fight back and maximize your immune system with Immuno Max. Immuno Max tablets are vegetarian and yeast free.